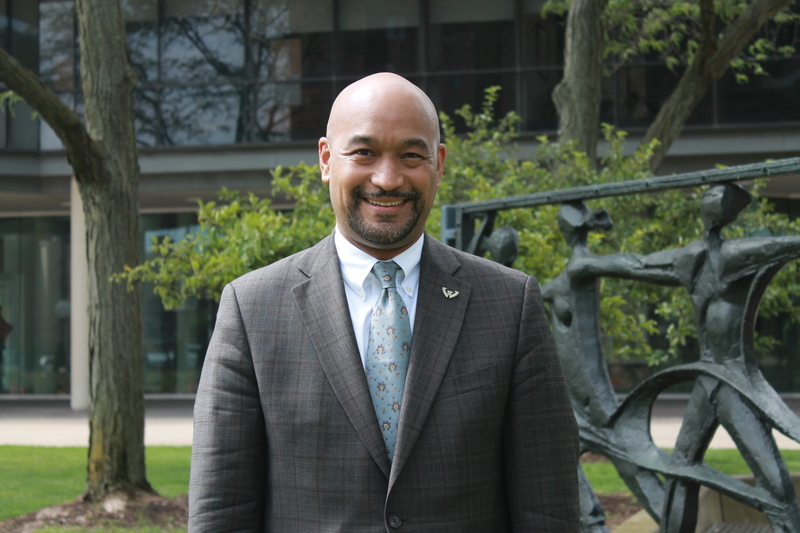 The Wayne State University Library System welcomes Jon E. Cawthorne as the dean of the University Libraries and School of Information Sciences on August 1, taking over for retiring dean Sandra Yee. Cawthorne comes to Wayne State from West Virginia University (WVU), where he has served as dean of libraries since 2014. In this role, he is responsible for seven libraries and 132 library, faculty and staff members. During his tenure, several significant research collections were obtained by WVU, including the Pearl S. Buck manuscripts, the Jay Rockefeller Senatorial Archives and the Rahall Congressional Papers. Prior to joining WVU, Cawthorne was interim dean at San Diego State University, Library and Information Access; interim deputy director at the Detroit Public Library; and reference librarian and coordinator for outreach services at the University of Oregon. He earned a B.A. in English and radio communications from The Evergreen State College in Olympia, Washington, and his M.L.S. at the University of Maryland at College Park, Maryland. Cawthorne received his Ph.D. in managerial leadership in the information professions from Simmons College in Boston.